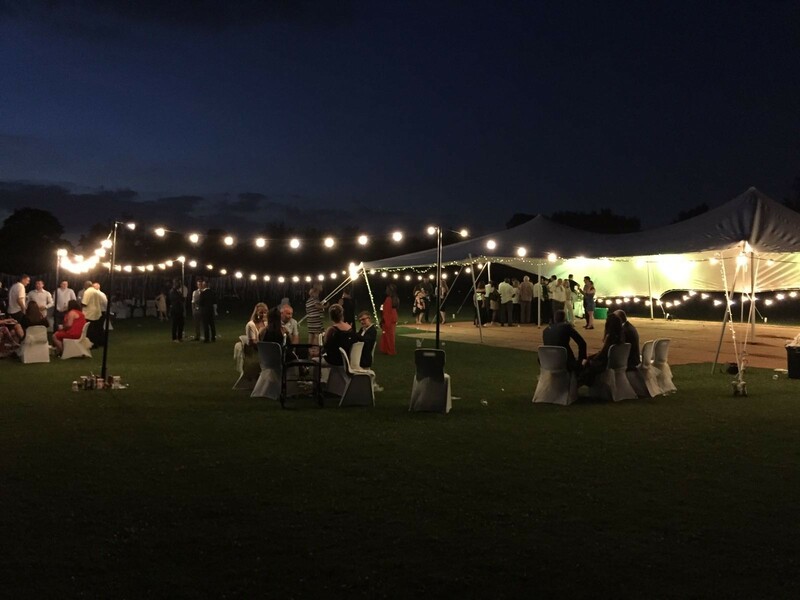 Need to hire some Festoon Lighting in Surrey, London or Kent? 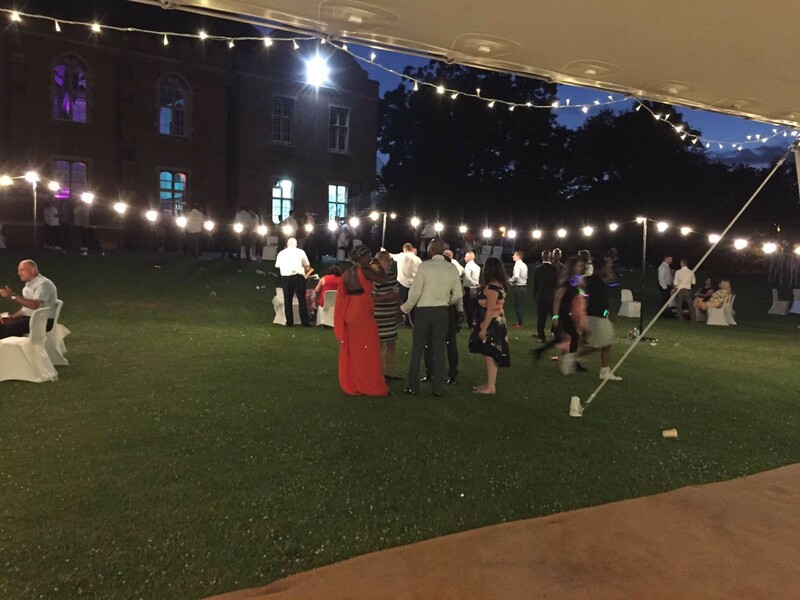 Festoon is perfect for Weddings, Garden Parties, Courtyards, Barns and Street Markets. We have a huge stock of premium quality Festoon with a variety of different coloured bulbs. Festoon lights are a perfect way to create a beautiful atmosphere an indoor or outdoor setting. It works well draped through trees, along paths and walkways or for street decoration. We have used it previously inside barns for Weddings and parties. It can be hung in a variety of ways to create various different effects. Don't worry though as we will come and do all the hard work for you. Our trained technicians will deliver, hang and test it all to make sure it is perfect before they leave. They will then come back after your event or the next day to take it all down. All of our Festoon is waterproof so suitable for both outdoor and indoor use. We can supply either high quality LED bulbs which are brighter and perfect for outdoor use. We can also supply traditional dimmable filament bulbs which look great inside and are not too overpowering. 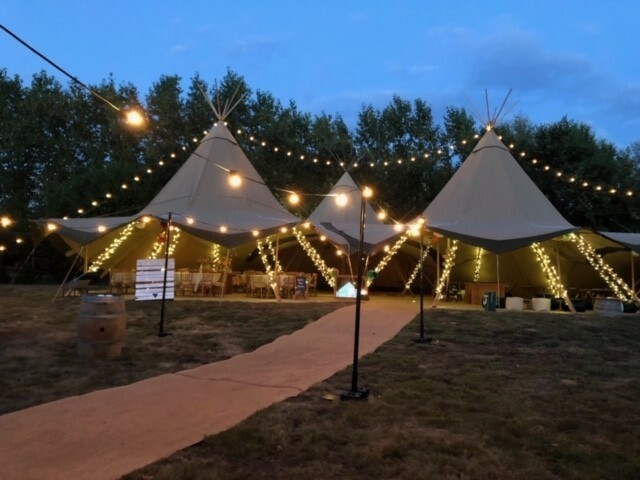 All the festoon can come with a range of accessories including poles or hooks to suspend it from, dimmers to adjust the light level and a friendly BPG staff member or 2 with a ladder to help put it up for you!